Hello, my name is Peter Lindblad (also known as Subtle Discord in various corners of the internet) and welcome to my hobby, my muse, my obsession, and some might say my insanity. While I can't deny that I'm eccentric, I promise that it's in a productive way. 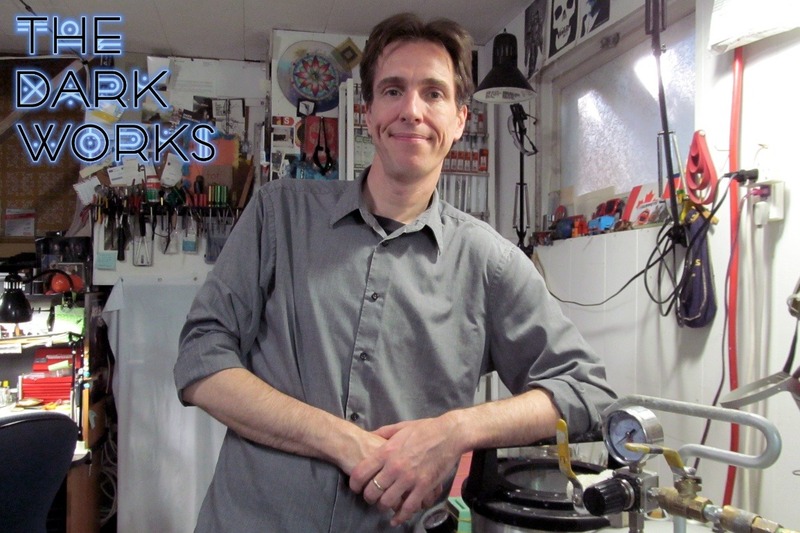 I've been a scale model builder practically all of my life, a tabletop gamer for well over half of my life, and spent over five years refining and improving the manufacturing process of my startup studio The Dark Works as I attended college studying Industrial Design. 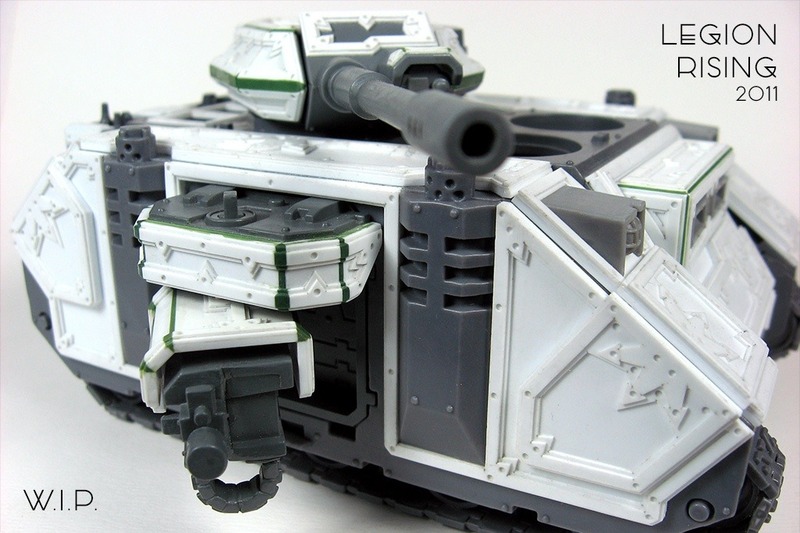 ∙ Scratch-built armour for a Predator tank as seen in my Legion Rising p'log started back in 2011. Everyone needs a hobby, and I found a lifelong one in tabletop gaming when I picked up a copy of Rogue Trader many years ago and became lost in the gritty dark gothic universe of Warhammer 40,000. Jump forward many years to 2011 and I began showing new personal hobby projects with a works-in-progress p'log called Legion Rising that's still active to this day. As positive feedback for my work began to grow, what started with building, converting, and painting miniatures evolved into a very modest miniature design and manufacturing studio. If you're curious about how the studio got started, and/or projects of the past and present (both personal and studio) I encourage you to have a look at Legion Rising. ∙ Concept evolved, the personal project above recreated as a carefully crafted cast resin armour kit. Put simply, now that I'm finished college I want to make high-quality resin miniatures, models, and conversion kits for the tabletop gaming community, with a starting focus on the Warhammer 40,000 universe. With a knack for thoughtful design, an eye for detail, and a commitment to quality over quantity, I've discovered that I'm very good at it; combined with the feedback from the hobby community and customers so far, I'm determined to make it happen. I don't just want to make good products, I want to make some of the best models, miniatures, and kits available. I've got the skills, the process, and the starting equipment; I have the foundation in place, but now I need some help to continue to build upon what I've started. $5,000 will be used to help cover costs that the studio has already incurred while the investments begin generating a return; the recent purchase of a high-resolution 3D Printer, in particular, requires some capital to help offset some of the cost while it gets to work making top-notch casting masters. $5,000 will be used to help with current month-to-month costs that mount before a return on labour and materials can be realized; there are many hours of labour and a significant investment in 3D Printing resin and mould rubber before a kit can start earning any money, let alone break even, or turn a profit. $5,000 will be used to help cover ongoing investment in tools and equipment needed to improve the studio and expand production; there are lots of unglamorous needs like workbenches, shelves, cabinets, and improved ventilation for the studio, along with several more high PSI casting pressure chambers to increase the studio's production scale and capacity. While I welcome people who are willing to make a donation to help the studio get going, I'm more interested in help that I can provide a future return on. To that end, I will be offering a 130% in future shop credit for all donations over $20. Example: Donate $50 today and receive $65 in future shop credit to use however you wish. Additionally, those who are willing to make large contributions (how large is still to be determined) will have the opportunity to direct the efforts of the studio. There will be a detailed itemized list of many models, miniatures, and kit concepts provided in the near future and the studio will be working on these how it sees fit. Want to see something on that list get bumped to the top? Make a significant donation to the cause, contact the studio, and I'll be happy to oblige as best I can. Not all ideas are created equal, so please be aware that some negotiation and understanding will be required, and will be on a first-come-first-serve basis. Naturally, this offer will be combined with the above 130% shop credit offer. 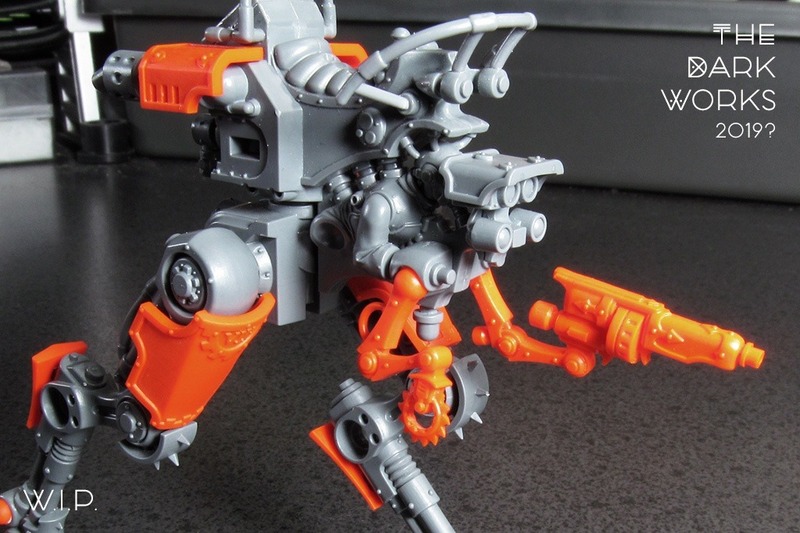 ∙ The Mor'ses Weapon Platform was a first attempt to use 3D modeling and printing for production. 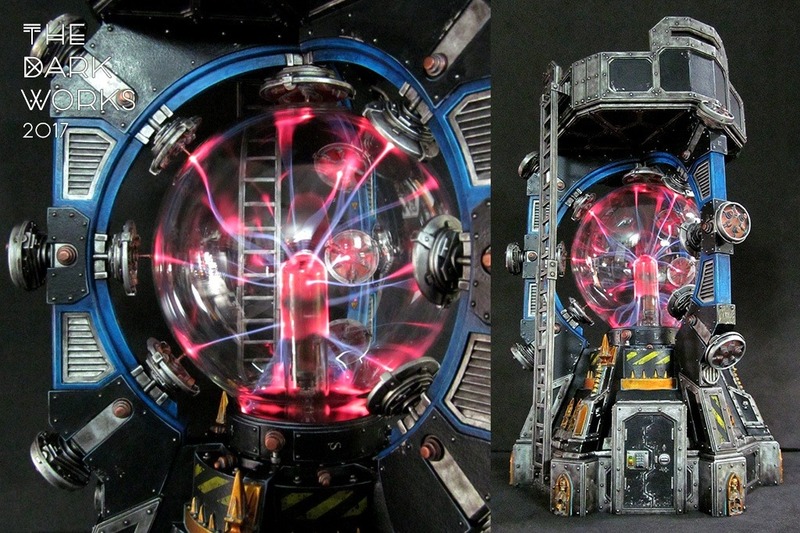 ∙ The Arcis Shield Generator was a deliberate attempt to use a Plasma Globe and create a large model. With hundreds of top quality kits on offer, Games Workshop provides countless opportunities to create conversion kits, upgrades, and standalone models and miniatures to support builders who want to make their collection unique and personalized. The selection of vehicles alone offers opportunities for Decorations, Armour Plates, Trims, Tracks, Weapon Systems, Gear, Gubbins, 'Dozer Blades, Turrets, Sponsons, Anti-grav Plating, Mutations, Possession, Battle Damage, Markings, Accessories, etc.. 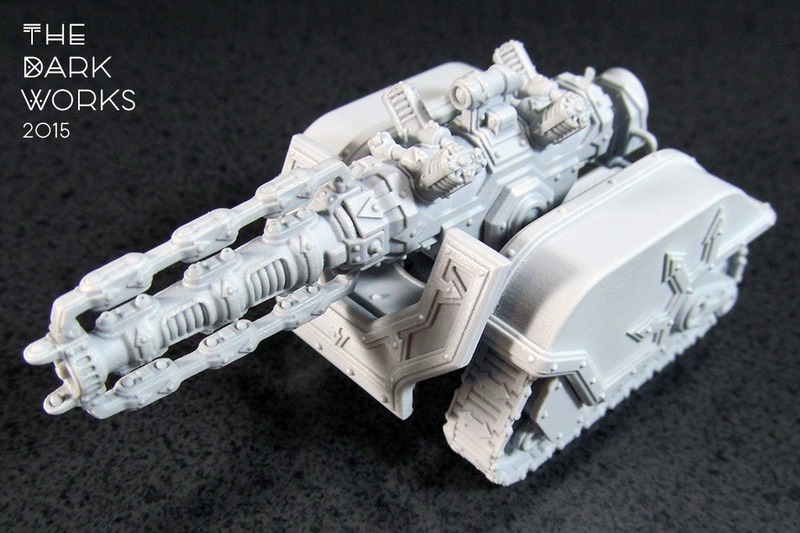 Initial products will focus on Imperial, Renegade/Autonomous, and Chaos factions before expanding to Adeptus and Dark Mechanicus. Xenos and other outlying factions will also be considered at the appropriate time in the future. It should be noted that the studio recognizes the reality of Intellectual Property rights, and while it will strive to make models and miniatures that emulate and blend with the design language of the Warhammer 40,000 setting, The Dark Works absolutely respects the legal rights of Games Workshop. 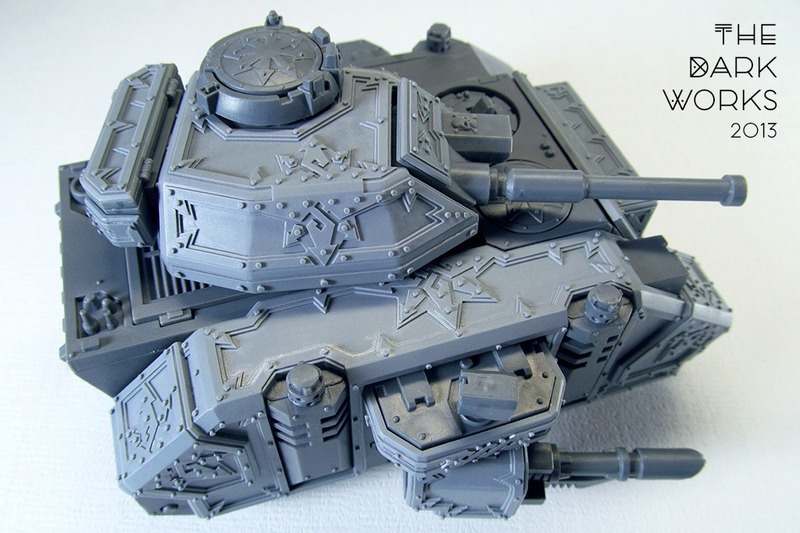 The studio has no interest in creating blatant copies of anything produced by Games Workshop, Forge World, or any other independent studio and will strive to create unique, original, compelling kits, models, and miniatures that stand on their own merits. 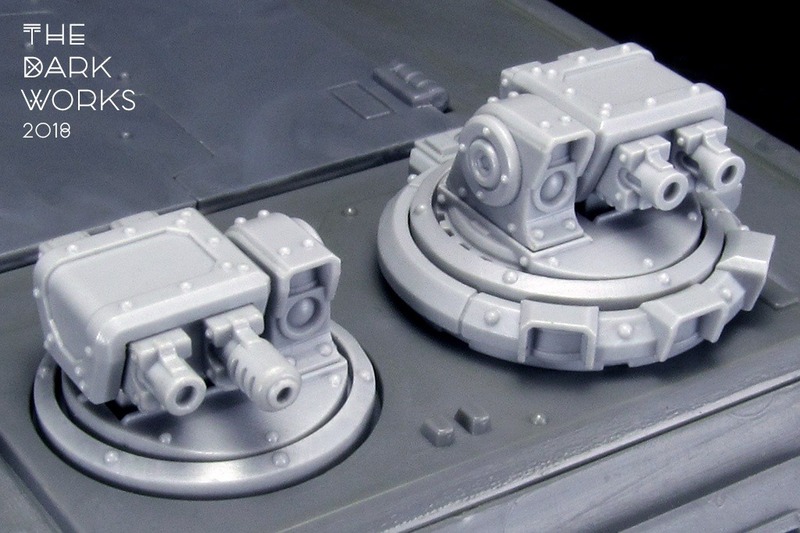 While many kits will be directly compatible with the Games Workshop line the studio is committed to producing many models that should be at home on any number of other wargaming tables. ∙ The M.A.S. design concept lets the builder assemble these Certamen Weapons however they prefer. In addition to the initial offerings, future plans are to simply to do more, bigger, and better. The battlefield has plenty of room for Bunkers, Barriers, Traps, Buildings & Factories, Refineries, Cranes, Gantries, etc. ; these also offer many opportunities to incorporate LED lights, small smoke generators, and perhaps sound effects. Detailing kits can aid builders with all manner of Doors, Windows, Hatches, Vents, Grills, Fans, Hoses, Sensors, Valves, Gauges, Dials, Handles, Ladders, Railings, etc. ; however, this can also include Darker ideas such as Tentacles, Hornes, Spines, Teeth, Skins, Pelts, Totems, Runes, Tabards, Banners, Relics of Campaigns Past, etc..
Construct kits of Legs, Tracks, Arms, Torsos, Power-plants, Heads, and weapons of all type that are interchangeable to work with existing kits or to be used to create complete models. These could easily be mechanical, bio-mechanical, or demonic in nature and in a wide range of configurations and scales. Vehicles will begin with small kits such as Bikes, Weapon Platforms, and Half-tracks; once the studio is comfortable taking on larger scaled kits, full-size Tanks, Walkers, Anti-grav, and Fliers will follow. While the starting focus will be on vehicle and terrain kits, future efforts of the studio will explore Infantry scale components and complete model kits. Because this area of the market is already quite competitive the studio wants to focus on the selection outlined before turning attention towards infantry. A more detailed and itemized list of future projects will be posted to provide a deeper idea of what The Dark Works has planned. The studio will be focused on making as many of these ideas real as possible but no promises can be made about the order or speed that they will be executed. Want to see a planned future project get bumped to the top of the list? Make a significant contribution and contact the studio and we can discuss how I can make your preferred idea happen faster. This service will be on a first-come-first-serve basis, and please understand that not all ideas are created equal (some will be very elaborate and time-consuming to create, while others will be more straightforward to make real) so some negotiation and understanding will be required. ∙ The addition of high-resolution 3D Printing to the studio has pushed quality to a new level.